If you are suffering from back pain, you are not alone. Back pain is one of the leading causes of disability worldwide. The complex structure of your spine, composed of ligaments, joints, bones and muscles, is susceptible to injury for various reasons. 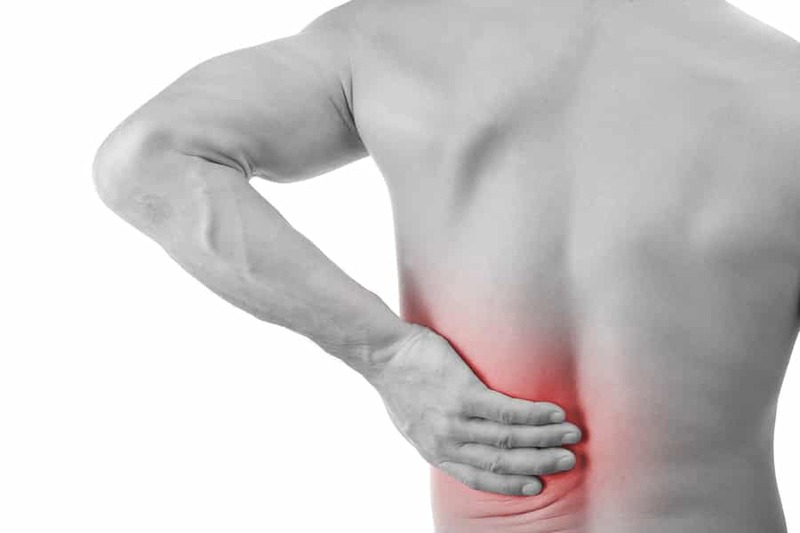 Back pain could be caused by sprained ligaments, strained muscles, weakened joints or ruptured discs. That is a lot of different sources of pain, all originating somewhere along the spine! Have correct posture – reminding yourself to use proper posture throughout the day is an excellent way to avoid injury or back pain. Training your body to move in positions that prevent strain on your back will help you avoid any of the common signs of poor posture. For example, the head pulling forward, rounded, forward shoulders, and abnormal pelvic tilt negatively effect the body. It is important to protect the three normal curves in the spine found in the cervical, thoracic, and lumbar regions of the spine. Choose comfortable, low-heeled shoes – shoes like flip-flops or high heels could lead to back pain or other pain-inducing conditions like plantar fasciitis because they compromise your normal gait. Sleep on the right mattress with the right pillow – be sure your mattress meets the qualifications of a good mattress, that it is medium firm in order to provide your spine the right amount of support. Rotating your mattress several times a year is another good measure to take. Also, your pillow should provide just enough support for the cervical spine, but not so much that it pushes your head at an unnatural angle. Lift properly – lifting with poor technique is a common cause for back pain onset. A few things to practice are lifting with the leg muscles instead of the back muscles, keeping the object close to you, and avoiding twisting movements while bearing heavy loads. Quit smoking – smoking is never a good idea for your general health, but it is also a contributing factor for back pain. This is because it restricts blood flow, which leads to a decrease of oxygenation and nutrients to the discs in the spine. Set up your computer workstation ergonomically – avoiding the common mistake of sitting at desk with your head looking downward for hours at a time is a first step in preventing back pain. Nowadays, it is common to elevate the monitor of the computer to eye level so the neck stays in a neutral position. Other details to be aware of are keeping your hands, wrists, and forearms in line with each other and parallel to the floor. Hips and knees should be at a 90-degree angle, with the knees positioned slightly lower than the hips. It is also very important to take regular breaks from sitting, at least once every hour. Try not to baby your back – similar to being sedentary, resting our back for longer than necessary can cause increased back pain in the long run. Gentle movement and activity helps activate the back and strengthen the spine again to avoid further issues. Maintain a healthy weight and diet – the pressure of extra weight puts unusual stress on your spine, particularly in the lower back and other joints like the hips and knees. Have your upper cervical spinal alignment checked – upper cervical chiropractors specialize in the uppermost vertebra in the spine, the atlas, where the head is balanced. Any time the atlas misaligns, it affects the entire spine, forcing it to compensate so that it carries the head in as neutral a position as possible. Back pain is often a symptom of such misalignments and could potentially be experienced anywhere along the spine because of the drastic compensation required. Correcting the atlas misalignment can bring immediate relief and start the healing process for the different affected areas of the back. The adjustments we provide are gentle and precise and specially designed for the individual misalignment. Each atlas correction we give is customized to meet the patient’s needs. These kinds of corrections are designed to hold in place, allowing your body time to begin its natural healing process. Once the muscles and soft tissue restore around the correction, it will help your adjustment hold in place for longer, providing lasting relief. For more information about how we can help you to recover from back pain naturally, contact us to arrange a consultation.